We Check out the Latest NetEnt Slot Witchcraft Academy Which Is Now Available to Play at Leo Vegas Casino! 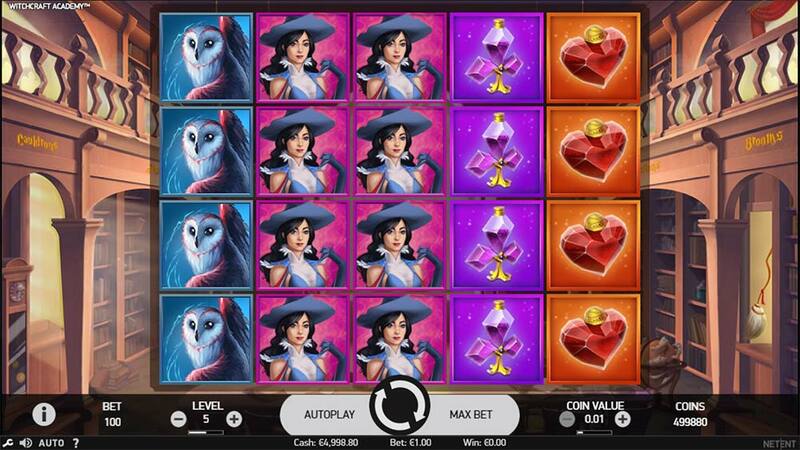 LeoVegas Casino has recently added a new exclusively early release slot from NetEnt called Witchcraft Academy, this mix of potions, magic and witchcraft is housed in a 5×4 reel slot and comes with just 20 fixed pay lines and a selection of different bonus features that include Multipliers, Wild Reels and a simple Bonus picking round. Witchcraft Academy seems to be a fairly low to medium variance machine looking through the paytable and given the unusual reel array and pay lines the base game can appear quite bleak, there are stacked wild symbols and some high paying symbols but the win frequency does seem quite low. 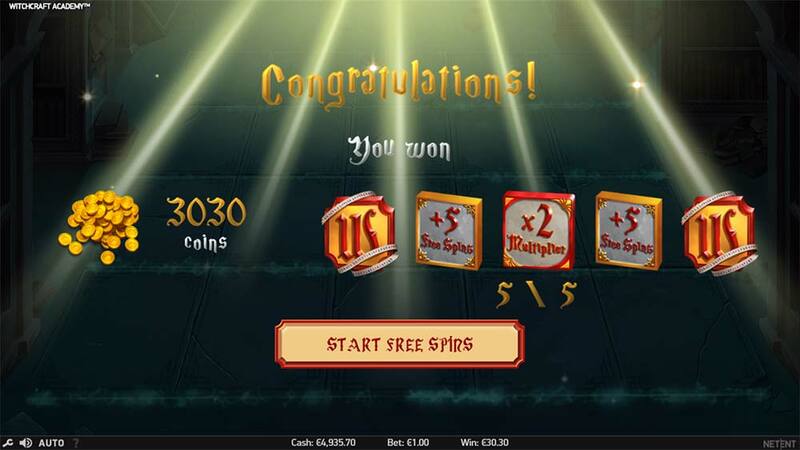 This is helped a little by the pay line format of paying anywhere on the pay line not just the regular left to right format found on most other slots, but really all of the main excitement and win potential of Witchcraft Academy is mixed up into the bonus game and then actually triggering the Free Spins round from this. 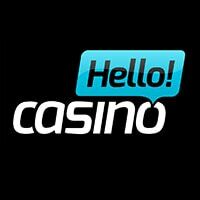 Landing 3 or more of the special Bonus Symbols triggers the initial Elements Bonus Feature and from here you can earn coin rewards, free spins, wild reels, and multipliers, you could however just walk away from the bonus with just a coin reward which is somewhat disappointing. 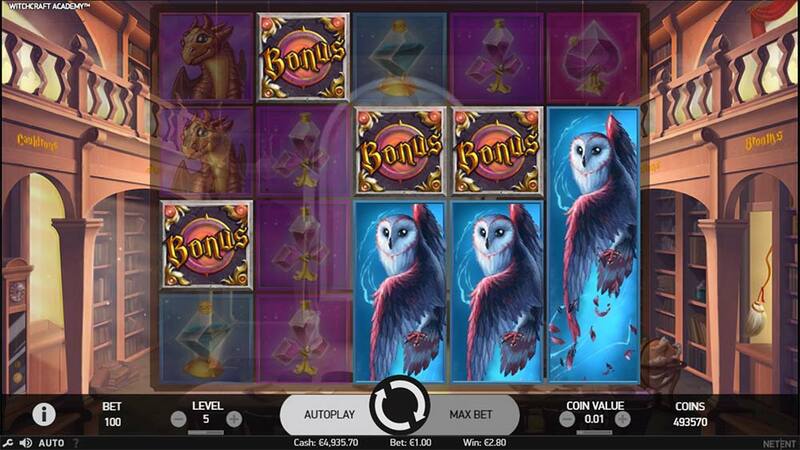 The main Elements Bonus Feature is triggering by landing 3 or more of the special Bonus Scatter symbol in the base game, you are then transported to Elements bonus game where the chosen wizards cast spells at random to reveals rewards such as Coin Prizes, Free Spins, Wild Reels, Multipliers, and Extra Spins. 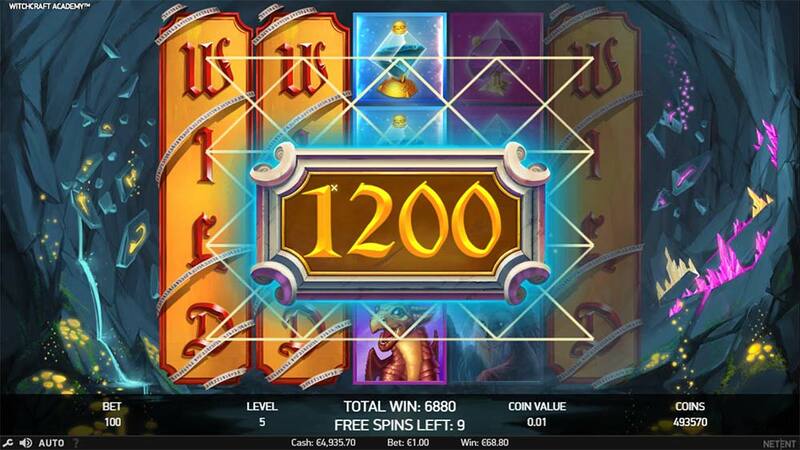 The bonus round can end in just coin rewards but these do at times result in large wins too, but honestly, you are hoping to unlock the free spins with as many extra modifiers as possible. 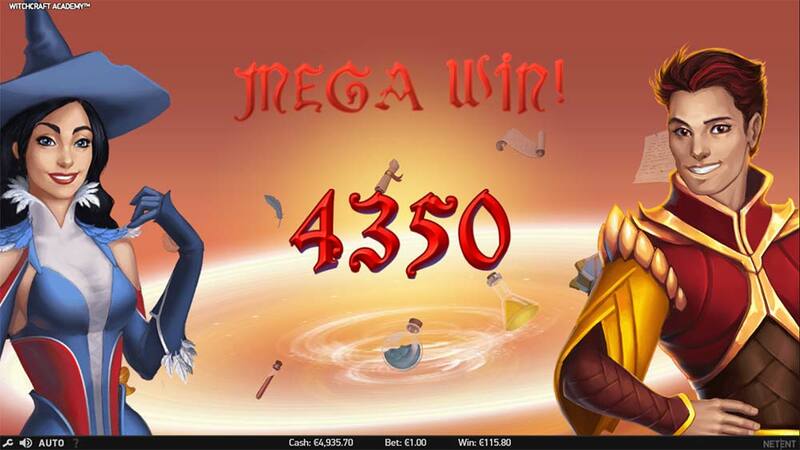 Witchcraft Academy has the usual graphical finesse of any NetEnt slot, we did, however, find the gameplay to be a little underwhelming at times. With just 20 pay lines on a 5×4 reel slot, the hit frequency seems quite low in the base game, and the wins aren’t generally that large either. The main elements bonus is a nice idea but exiting this with just coin rewards feels like a total disappointment, on the flipside triggering the free spins with all the modifiers active leads to a very exciting bonus round. In our playtests, we had bonus rounds end results in the range of 20x up to 160x. 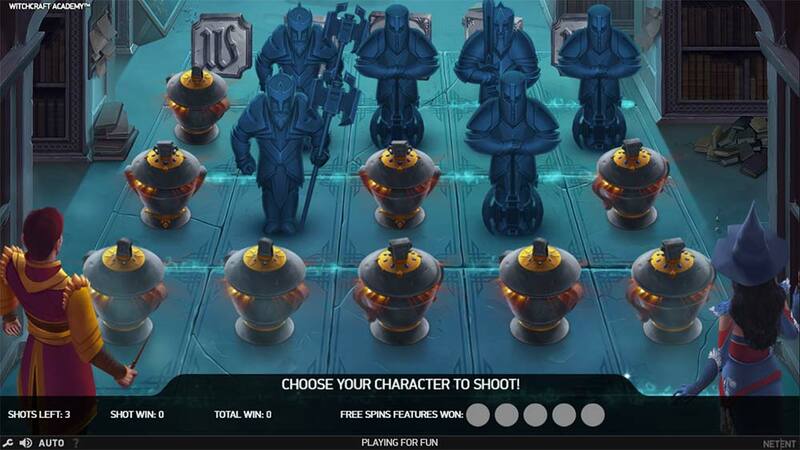 Witchcraft Academy is worth a look if you are a fan of lower variance slots, but for us, we found the game a little lacking in excitement and win potential.